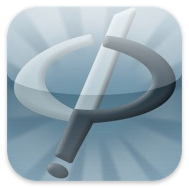 Ask Phil, the app version of the Ask Philosophers website, is now available at the itunes store. The Boston Globe's review mentions a tussle Oliver Leaman and I had over the question "Is it OK to kill ants for fun?" Our replies are here. No Paradoxes for the Gods? Should We Aim for Extinction? From Humane to More Humane? My Scratch or the World? Do Animals Have a Right to Privacy?